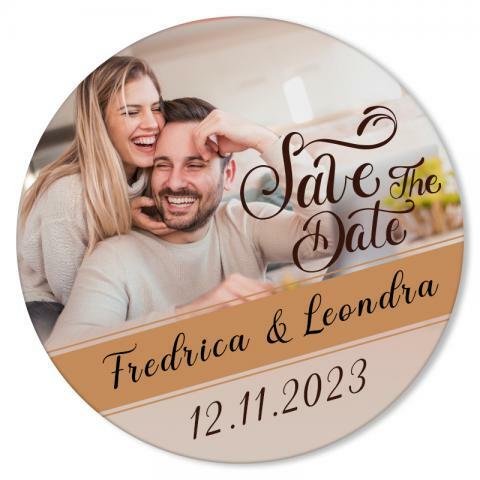 6 Inch Save the Date Full Color Circle Magnet – What if you have to announce the car rally in neighborhood? Would you like to do it through a magnet or a poster? When thought from an economical point of view, 6 inch save the date magnets offer lot more creative space than a regular poster. You can customize a 6 inch save the date full color circle magnet with any information amidst the riot of colors. This 6 inch save the date full color circle magnet is offered in 20 mil thickness and it makes a good refrigerator decoration tool.